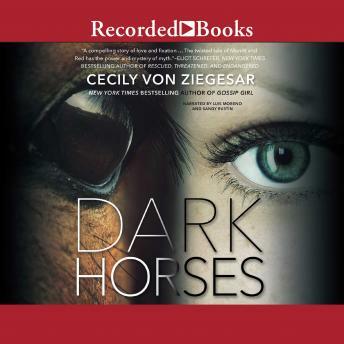 From the internationally bestselling author of Gossip Girl comes a dark, psychologically complex update of Black Beauty replete with jealousy, romance, mystery, and redemption. Merritt Wenner has been self-destructing ever since the tragic deaths of her grandmother and her horse, and after an epic all-night bender she walks out of the SAT and disappears. Her parents, looking for a quick fix, ship her off to a residential equine therapy program. At Good Fences, Merritt meets Red-a failed racehorse and a terror in the barn. Red has never bonded with anyone, but Merritt is not afraid of him, which makes all the difference. Soon they're sneaking rides after curfew, which catches the attention of Red's owner. Recognizing their potential, he funds their launch into the competitive hunter/jumper circuit. Against the cutthroat backdrop of competitive riding, Merritt and their groom, Beatrice, develop an attraction. Merritt also finds herself drawn to Carvin, a rival rider. But in Red's mind, Merritt belongs to him alone. Anyone else poses a threat. And Merritt can't foresee what he'll do to keep her to himself.